When itching to get out of town, I sometimes look in a book that I have of Historic Hotels of America to see if there are any within a weekend trip away from home. 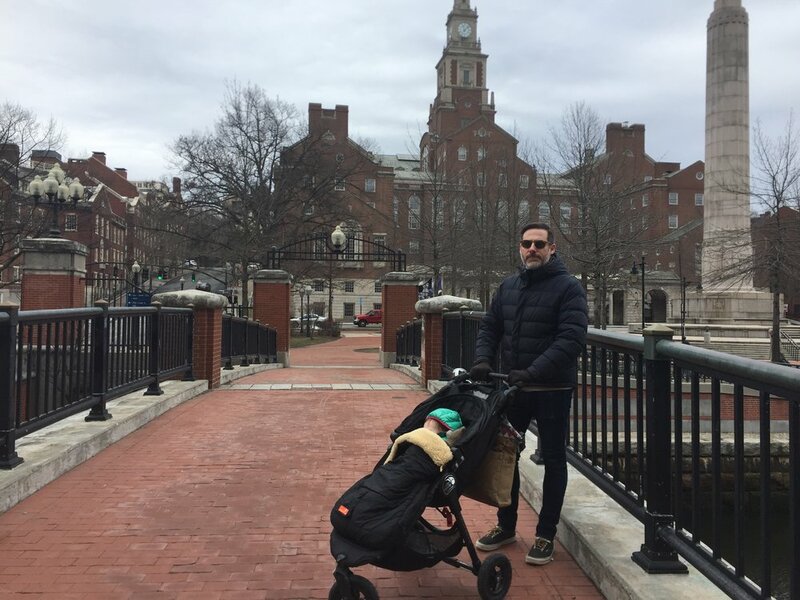 I had never been to Providence before and was able to book a night at the Providence Biltmore Hotel in downtown. It's in a perfect location for exploring downtown and walking over to Rhode Island School of Design. The hotel opened in 1922 and has an incredibly opulent lobby complete with a glass elevator a la Willy Wonka. Walking around downtown, there were plenty of cute shops to pop into with everything from vintage clothing, home goods, stationary stores, and cafes. 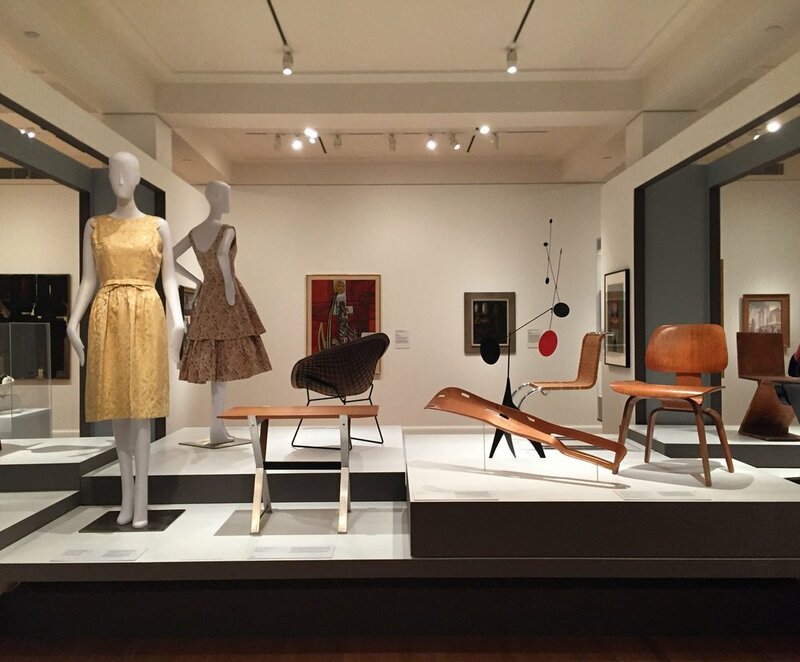 We walked over to the RISD Museum, which was excellent. It's a manageable size while packing in a great variety of art including an ancient sarcophagus, Renaissance paintings, costumes, sculpture, furniture, etc. Sally was asleep, but we came across a huge room with massive old paintings on the walls and a long table with paper for kids to make art. This place is great! We only spent one night away, but we did a couple of fun stops to break up the drive for Sally. There is the Pez Visitor Center roughly half way between Brooklyn and Providence, conveniently located just off of I-95. 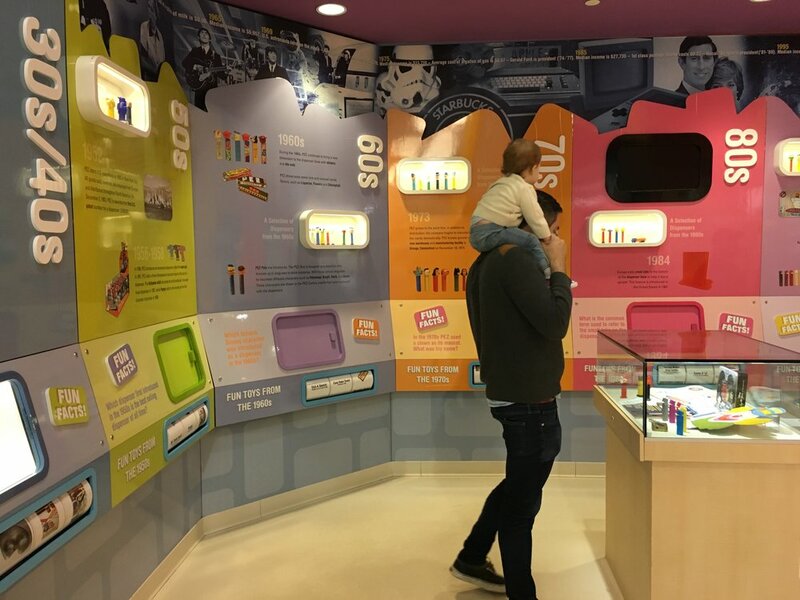 It has a small museum that gives the history of Pez through the decades and it includes some interactive displays for kids to check out. 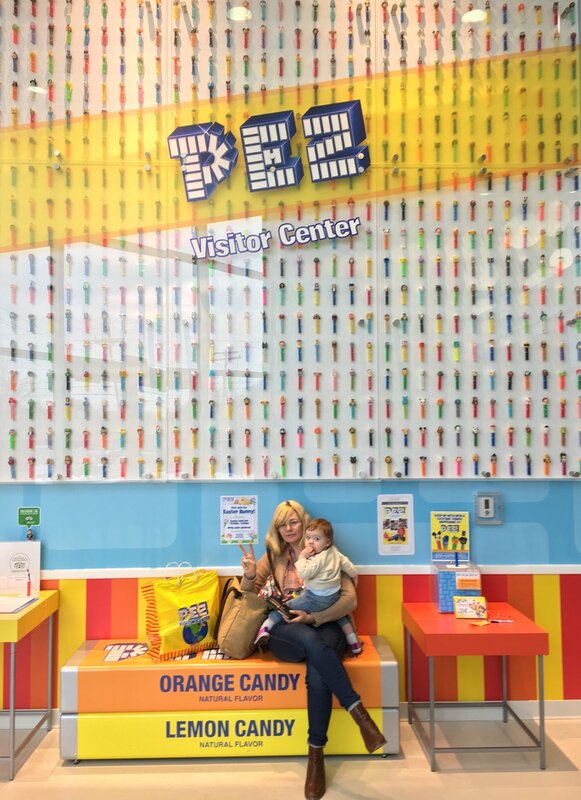 It boasts the most comprehensive Pez memorabilia collection including the world's largest Pez dispenser. The gift shop has tons of different Pez options (we picked up a President Kennedy Pez dispenser). Super fun and quick stop, especially if the kids are getting antsy in the backseat!